Bait application and the make up of my pre-baiting mix is a very important part of my angling and something I always put a great deal of thought into, it can really make the difference between a good season and a lean one. 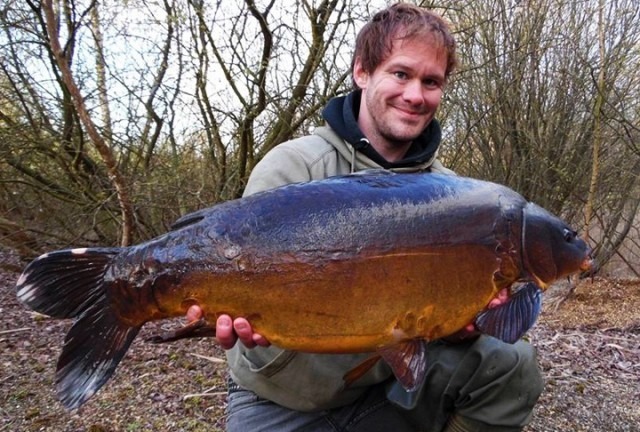 I consider particles and pellets an essential part of my carp fishing and I am convinced that the use of them in my overall strategy has put more bites my way than if I had solely been a boilie angler. Sourcing quality particles has been headache at times for me in the past and on several occasions sacks of dried hemp turned out to be garbage that didn’t split and became bird food instead. Now that I use Dynamite ready prepared particles I know for sure they will always be premium quality, as if it doesn’t make the grade, it doesn’t make their jars – it’s that simple. As I usually fish weedy gravel pits the first reason for using particles is they are super effective for clearing spots, allowing me to then present a rig confident in the knowledge that the rig is fishing effectively. 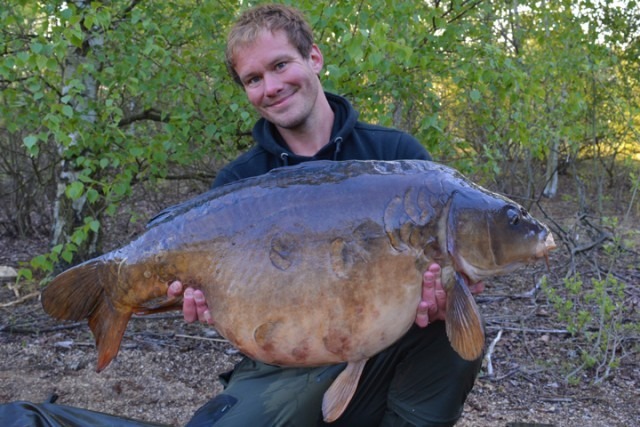 Small items like hemp, mini tigers, maize, small pellets and boilie chops/ crumb are perfect for this. Whereas whole boilies are very easy for fish to pick up individually, the particle mix forces the fish to “dig” for the food. Adding a few whole boilies to this mix won’t, of course, do any harm if you intend to use them for your hook bait once the spot is fishable. If the water is clear and birdlife is a problem I will stick to dull coloured baits like hemp, tigers, pellet and dark boilie crumb – this is pretty much duck and coot proof and has a much better chance of remaining on the spot until the carp turn up. I would also recommend baiting up at last light as this will also help your spots avoid the unwanted attention of the feathered population! I am looking forward to using the new Complex-T boilie in spring which is dark in coloration, so will compliment my pre-baiting strategy nicely, and the catch reports on the Complex-T speak for themselves. 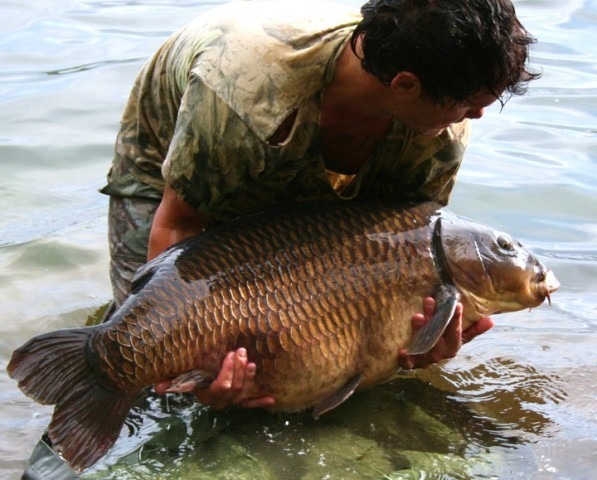 Although boilies are usually my initial choice of hookbait, baits like Dynamite Frenzied Maize & Corn have often picked out the rarer fish for me and I believe this is because they have not been caught on that bait for such a long time that they dismiss it as being dangerous and therefore let their guard down. Don’t be put off by pre-baiting over dense weed of perhaps 2-3 feet. This weed often indicates a hard bottom below and when the carp find your bait in amongst the weed it won’t take them long to uproot it and leave you with a lovely clean spot. I’ve found 3- 4 hits of bait usually does the trick if the carp are active especially in the warmer months. If the weed does get uprooted, its generally a great indication that carp are to blame as they’re really the only creatures that will actively tear the weed up to get at the bait. Weed will remain pretty much intact if subjected to the attentions of smaller species and birdlife. Marginal areas like reed-lines or over hanging trees with a good depth can be deadly for bites. Ambush points like this are far better than ‘open’ swims for getting them feeding close in as they will feel safer here. Also as you can see the spots you will know if the bait is being eaten and how much, allowing you to judge on bait application more effectively. I much prefer my chances in these tucked away canopies and poking a couple of rods through the foliage than being positioned in a trodden down swim and casting over to the spot with line cutting through the water. Once you do get their tails up, by watching them feed you can then often see which fish like certain baits and also the way they feed i.e. are they a greedy snaffler that may get snagged on a standard 18mm bottom bait or are they delicate feeders which may be more catchable on smaller wafting baits like Frenzied Maize? You can learn so much by watching them, although it’s quite often the case they will only be prepared to feed regularly in the edge at night. For this reason I like to get a spot cleaned off that is large enough for two rods so I can play around with bait alternatives. Different areas or corners of a lake can fish well a different times and this can be influenced by things like the weather, angling pressure or the presence of natural food, there for id advice not to put all your eggs in one basket (or all your bait on one spot!!). you don’t want to put lots of effort into preparing one spot only to find that the parties happening at the other end of the lake! Spread your bait over three or four likely looking spots and then monitor each one. Look for signs of disturbance and uprooted weed whilst you’ve been away from the lake. This can be done either with a good pair of polaroids or if the spot is too deep or too far out then simply dragging a lead across the spot will give you a picture of what’s happened down there! Once a spot becomes active, keep applying the bait to build the fishes confidence. 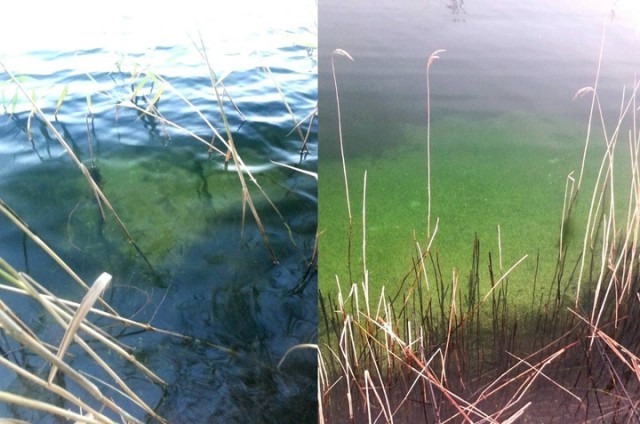 If more than one spot becomes active you have options should the lake be busy or the fish move on a new wind. If more than one looks good for a bite fish them on rotation. Having other spots primed also means if you have a fishless night you can move to a fresh spot the following day. Just remember, just because you’ve seen fish in an area during the day doesn’t necessarily mean this is where they will spend the night. This spot rotation fishing has served me well when I’ve only been able to get down the lake for over nighters and haven’t been able to observe the fish throughout the day. Fish on bite times. We often read that the rods should always be the first thing to set up and the last thing to put away to maximise our chances, however this is not always the case I feel. Fishing when it is not bite time can reduce your chances, as the fish have had all those hours to casually inspect your spots and feel your lines, which could easily be enough to spook them away from you when it is bite time. 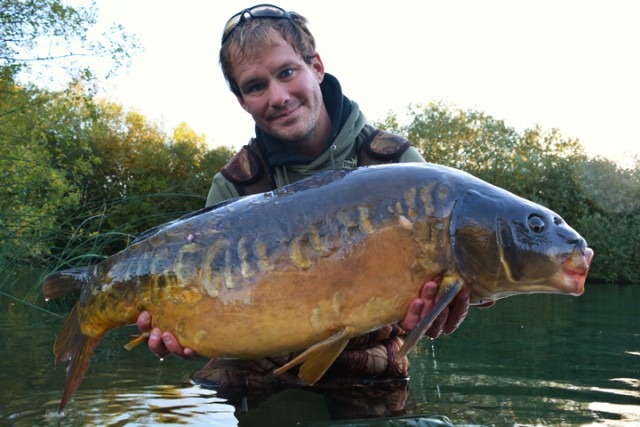 If, for example, the pit you fish has a better bite time at night then it may not be an advantage to leave the rods fishing all day too, as this will give the carp plenty of time to inspect the area when visibility is maximum, and if the trap is sussed then it is unlikely to come back and feed there later on. So if you have a busy life like myself and often only have overnighters to fish then this doesn’t mean you are out of the game once you find the prime night time feeding areas. This is where ready prepared quality particles kept in stock at home really aid my fishing when I have random opportunities to fish for an unplanned overnighter. Once a spot produces a few bites I have often found that it can ‘blow’ and bites dry up, in which case it is a good idea to rest it for a while and concentrate on another back-up spot you have been priming, but don’t rule it out completely. I have often found that once rested and then re-prebaited to build the carps confidence up once again it can produce later in the season. If a spot has blown, it doesn’t mean the area has, and sometimes all that is needed is to start a new spot is a few yards, and that’s when I will then start applying the particles heavily again and the new spot is usually fishable in no time!